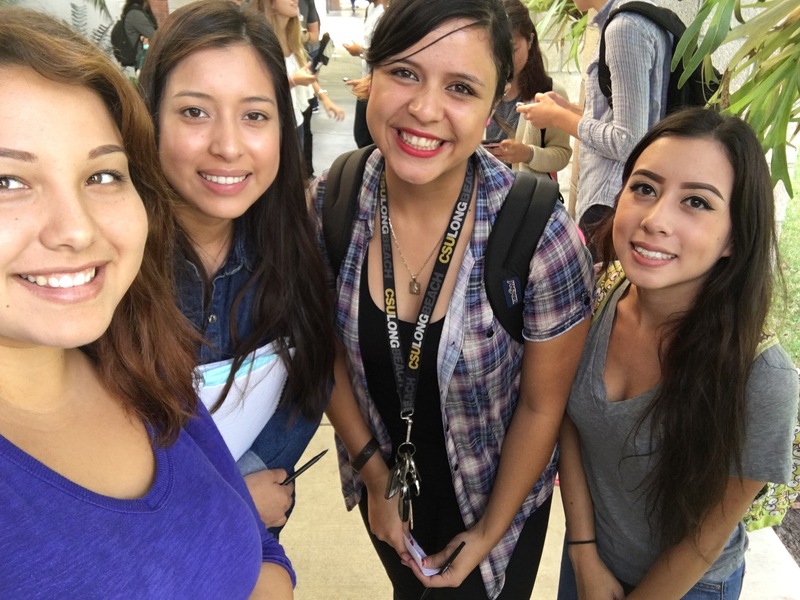 Today I met Marisol Gonzalez and she is a second year at CSULB. She lives in Long Beach and her major is Child Development. She wants to work with children after she finishes her Bachelor’s degree. Her hobbies are soccer and going out with friends and family. She likes going to Disneyland. Her favorite characters are Tigger and Minnie Mouse. Her favorite foods are enchiladas and lasagna. The question of the week asked what is our favorite type of art and Marisol said ceramics. She chose ceramics because she likes sculptures and visual art. I said painting because it can be colorful, unique, and random. Also because it’s all in one piece.